The Boy Scouts of America and the Garden State Council are now offering this unique program. The Lion Cub program provides exciting indoor and outdoor activities specifically designed for kindergarten boys and their adult partner. Adult partners are there to support and guide, and allow the new Cub Scout to discover risks and rewards under adult supervision. A Lion Cub learns by doing these things himself. As he learns and grows, the relationship with their adult partner grows as well. At the conclusion of their kindergarten year, the Lion Cub will transition to Tiger Cubs and continue on their journey through Cub Scouting. Garden State Council has seen this program meet our objectives and this fall we are taking things to the next level. By fully becoming part of the pack, Lion Cubs will be able to participate in all pack meetings and activities, fundraising efforts, camping programs, pinewood derby, and any other activity that the pack is involved in. It is very exciting! 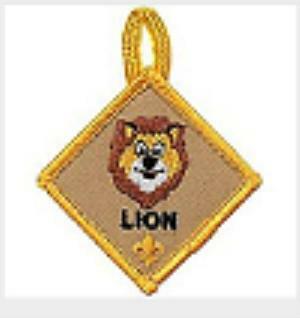 With many other organizations offering Kindergarten age programs, the development of the Lion Cub program is critical for Scouting to regain relevancy in the market of youth activities. Offering a K-12 experience will demonstrate that we do not want to leave youth behind, and give all school aged youth the opportunity to choose Scouting from the long list of activities available to them.